NOTE: This was originally published on January 25, 2010. Jordan Catalano. Hah…my mind drifts. 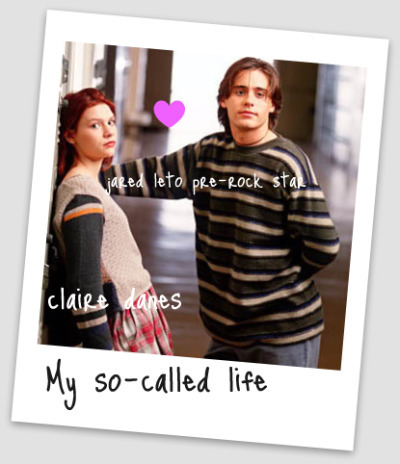 Jordan Catalano — going by my penchant for teen things Twilight, Glee and stuff I secretly watch on ABC Family (Cappie- swoon!) you’d think inside of me there was a teenage girl — but it’s always been this way. I was in my 20s when I devoured everything on the WB before it became CW – hello, Gilmore Girls? (Identifying more with Rory than Lorelei). It’s weird. But then, it’s not really when you realize life is a lot like High School – just consider the mamas on the PTA or the parents at pick-up time in school. There are your stereotypes… and cliques. But for now let me escape in my 30 seconds to Mars…. OMG, I still think of MSCL on a regular basis. The soundtrack isn’t bad either, there is a Sonic Youth song I like on it, but for the life of me I cannot remember what the title right now!